Abstract. New neonatal ventilation methods have developed over the recent past and now utilize new technological tools with the aim of decreasing induced lung injury while promoting growth of the developing neonatal lung. The previous methods of patient triggering were based on detecting patient’s effort by either air flow or airway pressure differences. This limited the patient control to the initiation of the breath and was plagued by a delay in detecting this initial effort. Recently, neurally adjusted ventilatory assist (NAVA) has emerged as an innovative technology which gives the patient full control of timing and magnitude of the respiratory cycle. The patient-ventilator synchrony is improved because the diaphragmatic electromyogram controls the patient’s own breathing as well as the ventilator. 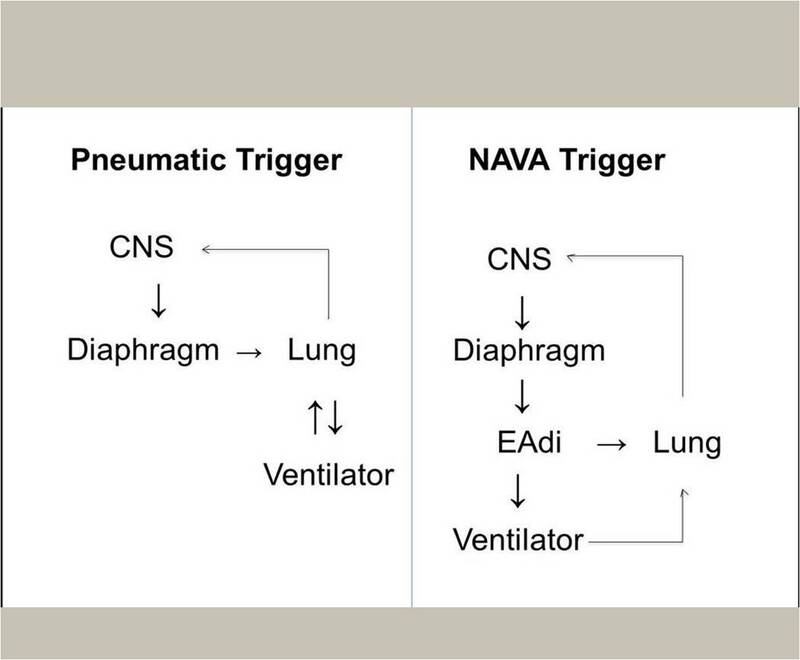 In addition to breath initiation; the neural control in NAVA improve synchrony in all phases of mechanical ventilation including breath magnitude, plateau and cycle-off or termination which are all important phases of patient ventilation synchrony. The experience in using NAVA as a tool for neonatal ventilation is still limited, especially in the extremely premature neonate, where little has been published regarding the indications, advantages and limitations of this new technology. NAVA offers other clinical and diagnostic innovations. With NAVA, traditional challenges imposed by airway leaks are easily managed. Additionally, NAVA works in concert with the diaphragm, encouraging its use, and minimizing its atrophy. It can also be a valuable tool in identifying true central apnea. A potential limitation of NAVA use in extremely premature neonates is related to the immaturity of respiratory drive and frequent apnea. Additionally, neonates under heavy sedation or neuromuscular blockade are not good candidates for NAVA. As NAVA is used on more neonatalpatients, cumulative knowledge will enhance clinical practice, adding a valuable tool to the armament of neonatal care units. Dr. Aiman Rahmani, Tawam Hospital, 15258 Tawam Street, Tawam Hospital, Al Ain, UAE. Tel. :+9713 7072181; Fax: +9713 707 2731; E-mail: arahmani@Tawamhospital.ae.